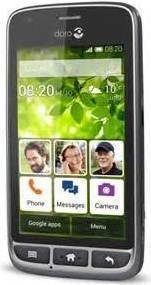 Cell Phones For Seniors, Explore Your Options! I've read a lot of articles and blogs about cell phones for seniors (as in senior citizens). There are some good ones, and some not so great ones. To make this article great, I want to setup the premise of the discussion. First, just because someone is classified as a senior citizen (usually 65+ years old in most societies), does not mean that they are not technologically inclined, nor does it mean they have poor vision or reduced tactile capabilities. In fact, at 90 years old, my grandmother was using email to communicate with her boyfriends; one in Canada and one in the U.S., and that was long before the smartphone revolution! In addition, my parents, both senior citizens, both use the Samsung Galaxy Note phablets, and have perfect vision and tactile capabilities. The point being that the content of this page is not meant to discriminate or categorize. However, I do receive a LOT of inquiries from folks claiming to be senior citizens that are looking for a phone with basic features as they don't want to deal with application forced closes, unresponsive touchscreen, or buttons that are difficult to read and/or depress. The fact is that the older we get, the more likely it is that we will have these types of considerations. In addition, people of any age can love or dislike modern gadgetry, or get frustrated with products that don't work the way they're supposed, which is certainly common place as can be seen by constant firmware and software updates. So, all that said, I created this page to help those interested in cell phones with specific functionality to meet their specific needs. Some of these will be mainstream phones, and I will highlight some features to look for, or applications that can help. Some others are actually targeted cell phones for seniors to meet the specific needs of those of us who have distinct visual or tactile requirements or preferences. Of course, these needs can also be found among younger folks as well. Ultimately, I expect this content to be helpful to a broad range of people! 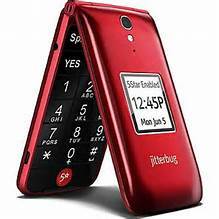 Offer "Easy Phones" & "Smart Phones"
If you have had any personal experiences with cell phones for seniors and would like to share with other visitors to this site, please enter your story below. You're welcome to submit anonymously, and following your submission, you can opt in to receive notifications when other visitors comment on your submission; this is an easy and great way to keep up on the dialog. Please note, however, that to ensure that this site remains of the highest quality, I manually approve each submission. Please include as much useful detail as possible to be helpful to others; submissions that are only a few lines long tend not to get approved. Think about what you would have liked to have known prior to making your purchase decision, or information that you've been studying and exploring during your exploration process. Thank you in advance for sharing your thoughts, feelings, and experiences! Using A Cell Phone Catered To Seniors? Please Share! 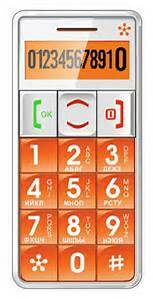 Are you using one of the cell phones for seniors listed above? Please share your experience with other visitors to this page! Using another phone that caters to your needs? Please tell us about it! 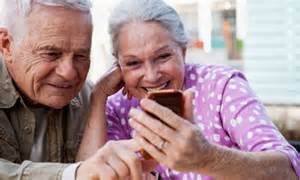 Click on the links below to see what others have shared about their cell phone for seniors experiences!